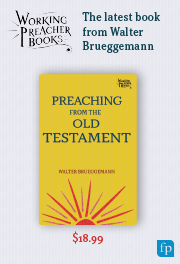 Want to preach a great stewardship sermon (without asking for any money), reference a meaningful part of almost everyone's "biblical memory," and surprise people with the startling relevance of one of the true "classics" of the biblical witness? Then follow me on a wild romp through Psalm 23! "Psalm 23, wild?" you may wonder incredulously. The psalm we read so somberly at funerals? How can that be? Well, think for a moment about why we read it at funerals and why, for that matter, it holds such an important place in our collective consciousness. Because it's comforting, certainly. Because it promises God's providence and presence. And because it promises God's protection, even in the face of death and enemies. Yeah, for all these reasons it's a great psalm for a funeral. And, I'd argue, it's an even better psalm for every day of our lives before our funerals! Because, more than anything else, Psalm 23 promises that God will provide: "The Lord is my shepherd, I shall not want." Want. Think, for a moment, about how powerful "wanting" is in our culture right now. Consumer spending now accounts for nearly 70 percent of our gross domestic product (GDP), which is significantly higher most other industrialized nations (European countries average closer to 50 percent) as well as what it was during our parents' era (when it was closer to 60 percent). That's right: more then ever before, our economy is powered by our collective nights out to dinner, trips to the grocery store, and occasional shopping sprees. And to make that all work we are encouraged at every turn to want. To want more stuff, to want nicer stuff, to want lots of stuff. We live, that is, with an imagination dominated by a pervasive sense of scarcity, far more aware of what we don't have -- and therefore should go out and buy -- than what we do. No wonder so many people are unhappy. We are consumed by what we lack instead of grateful for our abundance. We are driven to get "more" instead of content to celebrate "enough." And we measure ourselves against our deficits instead of glorying in our gifts and blessings. And this is where Psalm 23 comes in. As J. Clinton McCann points out in a commentary originally posted for the Fourth Sunday of Easter (a.k.a. "Good Shepherd" Sunday), at every turn Psalm 23 promises us God's providence and provision of everything we need in this life. So how is it that we've forgotten this? Part of it, of course, is the consumer-oriented culture in which we live. Bombarded by 24/7 advertising that seeks always to make us aware of what we don't have, it's easy to be seduced into thinking that happiness comes from getting everything you want, instead of recognizing and wanting all that you already have. But perhaps our congregations are partially to blame as well. Because we also find it easier to think in terms of deficits instead of blessings. (When did you spend the bulk of a church council meeting, for instance, celebrating all that you've accomplished, all that you've been given, and all the blessings with which you've been entrusted instead of worrying about the budget and the need to find more Sunday School teachers?) More than that, when we talk about stewardship or name the material and financial blessings that God has bestowed upon us, it's all too often connected with a stewardship sermon that concludes by asking our people for money. Now don't get me wrong. Of course we need to ask people for financial support (and demonstrate what we are doing with it), but when that is the primary message about stewardship, we only feed into the popular assumption that if we only had more we'd be happy. Yet Psalm 23 stands against all of that and invites another mindset altogether with its simple, singular, and salutary affirmation: "The Lord is my shepherd, I shall not want." That is, the Lord is my shepherd and provides all I need. Period. In this light, Psalm 23 might be the most important passage you could read this Sunday ... or any Sunday, as it simultaneously challenges the cultural assumption that the path to happiness is paved with gift cards and invites a trust in God's providence that creates a sense of confidence and contentment that is as precious as it is rare. As I suggested once last fall, give everyone in the congregation a dollar bill. (And, yes, they will be surprised and delighted that the church is giving them a dollar rather than asking for one!) Invite them to consider the motto on our money that reads, "In God We Trust" and notice the similarity of that declaration to the psalm's affirmation, "The Lord is my shepherd, I shall not want." Then, invite them to take stock, this week, of whether the way in which they spend that dollar -- and all their other dollars -- reflects a trust in God's generosity or is motivated more by a fear of scarcity. Get a batch of wooden coins with the words "The Lord is my shepherd, I shall not want" on them. (Google "engraved wooden coins" and you'll find plenty of options.) Pass these out and invite people to carry them with them as reminders of God's incredible providence and our need to practice trusting in God. Designate a day in the coming week where you all will try to avoid as much advertising as you possibly can. (Or, at least invite folks to pick one day that suits their schedules on which they will make that effort.) That will probably mean turning off the television and unplugging from the internet. On that day, pay attention to the effect that taking a media and advertising "vacation" has on you. In addition, several times that day read Psalm 23 aloud. (Perhaps you can print up half sheets of paper with the Psalm on it for people to take along with them.) Again, collect as many of these reflections as possible to share via the newsletter or in a future sermon. What is the purpose of these exercises? To give us much needed practice in recognizing God's generosity, to nudge us from mindsets of nervous scarcity to confident abundance, and to invite us to rise above a culture shaped by its incessant wanting and transform us instead into communities marked by our trust in God's blessing. As you will quickly discover, Psalm 23, used this way, soon becomes a protest against all the voices that seek to rob us of our confidence in God's providence and identify us by what we're not. Further, it becomes a solid declaration that we are those people who have been richly blessed and so can lead lives of confidence, courage, and generosity, knowing that we have, indeed, been blessed to be a blessing. However you may approach this day and task, Working Preacher, know how grateful I am for your own stewardship of the gifts God has blessed you with. Your words and work are so very important. Thank God for you. P.S. : If you are looking for a great hymn of the day, Marty Haugen's "Shepherd Me O God" is hard to beat with its haunting and beautiful refrain, "Shepherd me, O God, beyond my wants, beyond my fears, from death into life." (ELW 780; lyrics also available here). P.P.S. : If you haven't already, find some time this fall to watch the PBS Frontline program "The Persuaders" for insight into the culture of "want" in which we live.